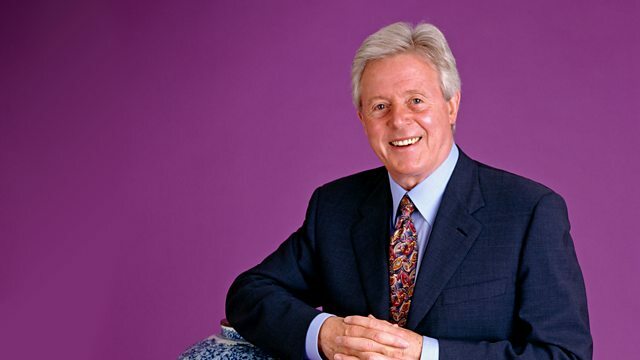 Antiques show presented by Michael Aspel. The team visit Royal Holloway College in Surrey, where their finds include a set of rare costume designs. Browse content similar to Royal Holloway 1. Check below for episodes and series from the same categories and more! The River Thames is dotted with historic landmarks. 18 miles from London is perhaps the most important. We're in the borough of Egham and Runnymede. that on June 15th, 1215, the seeds of modern democracy were sown. the royal seal was put to the charter which became a symbol of civil liberty and freedom. it became the foundation for the constitutions and legal systems of countries such as India and the US. This elegant memorial was erected by a grateful American Bar Association. "in order to assure the survival and success of liberty". happened on Priest Hill - the last duel fought in Britain. It was a fight to the death. -The man who lost, Frederic Cournet, is buried in Egham churchyard. His end must have come as a great surprise to him - he had on him a return train ticket to London. Egham also boasts one of the most breathtakingly extravagant examples of Victorian architecture. Royal Holloway - built by Thomas Holloway, who made his fortune selling ointments and pills. particularly - at his wife's suggestion - to female society, who, she said, suffered most. So he built his college for women. Today, Royal Holloway is part of the University of London and an honoured seat of learning. Next week we'll learn more about the building and its namesake. Meanwhile, it's the setting for today's Roadshow. -Tell me where you got it from. -and, about 30 years ago, my father gave it me as a wedding present. -Delightful. What do you think it's made of? -I thought that maybe it is ceramic. Well, you're quite close, really. -This is actually made of hundreds of thousands of tiny little pieces of glass. If we look carefully, the size of the pieces of glass varies tremendously. and in her hair, tiny, tiny, tiny little bits. -And these are called filati. And the colour? I mean, how did they manage to do the colouring? It was the colour in the glass. -And the delight of a sort of ceramic item is that, as the years go by, it doesn't fade. It may get dirty on the surface, but you can clean that. And you retain the brilliant colours. A delightful image - a pretty classical lady. -Holding a garland of flowers. Thoroughly attractive. The very early originals dated from Roman times. and, as I say, revived in Rome at the beginning of the 18th century and continued into the 20th century. is to have a squint at the back. -May I remove the back cover? So the back board is just cheaply made of timber. And... Ah-ha! This is where the secret gets revealed. The japanning is flaking off. comes all the way round the outside. -It gives you an idea as to how those hundreds of thousands of pieces of glass are held in place. There's adhesive underneath each piece and then the surface is finished so it's completely flat. For insurance purposes, you should probably cover it for about £12,000. -Miscellaneous for both of them. It belonged to my father-in-law, who was always interested in guns. -First and foremost, the lock is on the wrong side. You see, this pistol... All the locks are on the right-hand side. -When a man fires it, then the lock is slightly to the right, not in front of him. he might get injured through the sparks or whatever. OK? -So it seems to have been made for a left-handed man. because when it's cocked, that little fellow goes in there and makes it safe. -So that when the flash pan is closed, it can't misfire. -Now, the whole shape of this tells me that it's Scandinavian. -And I would think that it's Danish. -The pistol is a holster pistol, to be used in a holster. Could be 1790, a little after 1800. -I would think it would fetch in the region of £1,500 to £2,000. that went out to the West Indies after the Battle of Worcester. They fled after the battle, having changed sides several times. ..when most of the Jamaican plantocracy started. And this was obviously collected around his lifetime. -The whole thing, with relatives going back through the generations. -So it's an assembly of miniatures that was assembled right at the end of the 18th century. -Just when Jamaica and all the other West Indies were teetering towards abolition of the slave trade. -Delightful - it represents a very interesting period. and Daniels of Bath and Plymouth. Those are, if you like, the three best recognisable miniatures. Looking at it commercially, there are a few things to take account of. -Yes, she's a bit hook-nosed. -That's reflected in value. Likewise if they are very handsome. so it would have interest for a number of quite wealthy West Indians. -How long did they take you to collect? -About five or six years. -Yes, about 30 years ago. -And you've never bought a piece since? -I took on a mortgage. -But you still like it? The thing about the Doulton factory is that everything is different. doing their OWN thing alongside the drainpipes, the bottles - all the standard stoneware production. Girls and boys from art school - suddenly free to decorate pottery in a new way. -This presumably is Hannah Barlow? It's not marked but it looks a bit like her, probably her early period. Her early pieces aren't marked. And a very basic mark on the bottom - just "Doulton". No artist. This is where it starts. It's a very interesting piece because we are at the beginning. I like that one for the same reason, although it's much later. -Not cheap at the time. This is an artist called Louisa J Davis. I haven't seen her doing this sort of Hannah Barlow-type work, normally it's much more colourful. 1877. -With his very clear monogram. -Who signed on the body, yes. And you've got these blues and purples and greens... It has this wonderful turbulent life. Partly coming from the Rococo, partly from Art Nouveau, partly from William Morris... Different sources. -And to me that's the high point. And yet it's still drawn with very, very great freedom. -I'm less excited by Florence Barlow. -I know people rate her work highly. To me, the way the birds are painted - although it's very much her thing - is slightly sort of ponderous. Very much part of the aesthetic tradition of that period. The General Gordon one's interesting. They did do commemorative pieces and we forget that. Dying at Khartoum in 1884 - a real national hero. -And Doulton jumped on the band wagon. -What did you pay? £100... Less for most pieces? -I didn't pay over £100 for anything, I don't think. -Let's start with that. He's such a good artist, he's so popular... £800 to £1,000. -If that wasn't cracked - again, high hundreds. -I would think you're looking at at least £5,000 for the lot. My husband was a great collector. -was not, until he brought this home. I wondered about this - I couldn't think what wood it could be. because it's extremely decorative with delicate little jasmine flowers set into the wood. Very dynamic, very strongly figured. But when you look closely, you find that it is actually grained. This black decoration is PAINTED on to make it look like walnut. Very lively walnut! But in fact I've been looking quite closely at what is underneath. It looks like a figured beech. Beech was often used for grained and painted furniture. -Fascinating sort of trompe l'oeil effect. But it doesn't detract in any way from the quality of the box itself. The style, I think, suggests a date of about 1860.
and immediately the contents become clear. It's a games compendium. But the freshness of the inside...! And dice and these extraordinary little scoring devices of some sort. -And yet this little hand moves round. -My husband was a great games man. -He played a lot of chess, backgammon... Shall I show you that? It should come out. It should drop out... There we go. Right. So you've got chess here, right? -Beautiful. Looks like coromandel wood. -And bone or ivory set into that. And then you've got backgammon. The fresh colours are what really strike me. Tulip wood, I would say. Orange tulip wood, coromandel and ivory... Spectacular. -Which is the English equivalent, if you like, of satin wood. Isn't that wonderful? And the little throwing pots. -And the old cards... They were never marked. With symbols but no numbers. This belonged to your husband? -And how did he get it? to all the different race courses, and always brought something back! but I don't know where he got it. Well, to collectors of games, you're certainly looking at...£1,000-£1,500. -A lovely thing, in beautifully fresh condition. What a splendid pot! With a liner... Made by Minton, of course. Majolica. -but this is unusual with these... pigeons at the base. -It was an elderly lady we knew - used to keep an eye on us sometimes. And in her will she said that I could have one item of her bits and pieces. -And I'd always admired this one, so that was it. -Such things have risen enormously in value. I think the value is somewhere about £4,000. -A very, very nice gift to take. Thank you very much! Thank you! It's very short. Nice silver top... See the hallmark? Have we got a name? -Enrico Caruso... I don't believe it! And some little musical notes! How amazing! -We were clearing a house for some elderly relatives. It was in the hall stand. and my son noticed this writing here, cleaned it up, and that's what we found. -Talk about a genie rubbing the lamp! -That explains why it's so short! -I would think getting on for £1,000. -..which I found 30 years ago in a hedge. that the first book that I saw at a Roadshow would be Brown's Self Interpreting Bible. Although it's a fantastic object, it's one of the most commonly found Bibles at the Roadshow. with these great metal clasps and beautiful illustrations, but it was produced in huge quantities. -to help you to understand the meaning of the text. The couple were married in 1880 and I imagine that it was a wedding present to them, so it was brand-new in 1880.
so it was probably an expensive wedding present. It's worth just a few pounds. Thank you very much for bringing it in. -I wish someone had taken me up on my bet! A watch in a rosewood box usually means it's something quite interesting and indeed this is. without even opening the watch - it's marked Albert Potter and Company. but not the individual craftsmanship. It's a strange thing for somebody to have. Can I ask where you...? "Cousin Henry" collected it and so we've had it many years. with the same escapement, and this is one of them. They are SO rare that it's difficult to know how much it would fetch. Have you got a figure in mind? Well, it was valued about 11 years ago, for...£15,000. It hasn't changed, surprisingly, that much. I would say now it should definitely be 20. -I rescued them from a dustbin. I did, yes! I studied at an art school. they were throwing them out, so I said, "May I have them, please?" I've had them for 40-odd years. This is by Roger Furze - a superb draughtsman. For Lady Hadley in Woman Hater. Edith Evans. Wonderful! It's... For me, it's a drawing in itself with the watercolour on top. And her sable... Wonderful. It even looks like her. And it's only meant to be for the costume! -We don't know what this was for? -I think Sweetest and Lowest. -I love the pinched-in waist. Wonderful. I think this fashion ought to come back, don't you? It's very much a fashion of the '40s, isn't it? Very much, very much. And beautifully executed. Very fragile, so... Amazing they didn't scrunch it up! -This is a splendid one, look at this. -This is for Hermione Gingold. Hermione Gingold, holding what is meant to be a Venetian mask. Look at the eyelashes - aren't they wonderful? Again by Berkeley Sutcliffe - Sweetest and Lowest. Moira Lister and Hermione Gingold in the same production. And I think, in a way, the value lies in that. We're talking about maybe £200. and collectors will probably pay somewhere around 100, 150, possibly 200. But you've got a huge collection! -I think you must have probably £5,000 worth there. -I've got a lot more, actually, at home. -But this one is, I think, one of the nicest. -I think so too. Wonderful. -How did you come by these? -Handed down from my great-grandfather. -From the First World War, I think. -as they were signed by John Bradbury. Not individually, of course. -But the print was signed. John Bradbury was the first Permanent Secretary to the Treasury. He was Permanent Secretary of the Treasury in 1914 when war was declared. And they suddenly decided... Till that time the coinage was gold coins. so they had to produce notes quickly, pound notes and ten shilling notes, as emergency money. because they were printed on stamp paper. They were printed by the people who printed postage stamps. These notes have the same watermarks as the stamps of the period. They are quite rare now. -This one is not in good condition. -something well over £100, £150. -The ten shilling note is not quite as rare. in this condition, £80 to £150. -So don't play Monopoly with them! -There was a pair, originally. -Yes. Made for a theatre? A rubber base cast face and hands. -Judging by the fabric, by the look. Could be 1950s. Certainly post-war. -Great fun. You'll never see another! -at the turn of the century, as a wedding present. -Do we know the date? -Well, he married in 1898 and he died in 1912. -So somewhere in-between. Is this transfer printed? Everything on there is done by hand. It's a completely hand-painted scene. If you look... Every single little line in here is painted by hand. and then all the gold has been put in by hand. and then this beautiful little bird. If this were a transfer print, you'd just go slap-bang, and that was it. THIS would take two or three hours to paint and you've got the complete service! Not least the teapot! -It would have been very expensive when it was new. -of, say, six settings is worth no more than £60. I'm going to stick a nought on the end and say £500 to £800. -I was offered 40 quid for it four years ago! This is a very typical North Country or even Scottish feature - this type of oval fan or shell medallion. and the colour here where it's been in the sun for a hundred years or so! I like that patination. The original colour is too bright nowadays. Where did you get this furniture? a cabinet maker and journeyman. they had three children - the youngest was my father, John Lambey. -Have you ever found anything about him at all? -No, we've got absolutely no data on him at all. was a centre of the trade - a lot of cabinet makers worked there. -A lot of workshops. Sweat shops, some of them. -Second half of the 19th century. -The way he's put this together, and the table, smacks more of 1890. -He'd only be about 30, so that's a likely date. -The actual physical work - it was hard work. They were working probably ten hours a day in Glasgow at that time. Six days a week, certainly. -The apprentice came on a Sunday to sweep up... Your grandfather had a hard life. -This sort of thing he'd do by hand? -Well, that's turned on a machine. If he could afford it, he probably bought things like this baluster turning-in and the handles. -Bought that from a shop in London or Glasgow. That could be Arts and Crafts of around 1860 or '70. But the marquetry is very individual, as is this ogee shape. -and I think this is a device he's come up with himself. It does look to me that he's made it for his own use. It's not commercial furniture. It's very individualistic. -I think he made it for the proportions of his own house. What a nice suite of furniture. -I can only really value what I see here, but you've got more. -But a piece like this, I can see this in a shop at about £3,000. -Possibly a bit less, but £2,500 up to £3,000. -So we've got between £5,000 and £6,000 here. Well, the furniture's going to my daughter, my older daughter. -But she should insure it. -to see if Mr Lambey is recorded anywhere. -I'm told that you know this place better than anyone here. -I was the butler here. And, uh...I retired in 1977. -A painting. One of Mr Carey's - the curator employed by Tom Holloway. And it was given to me on my retirement by Dr Busbridge. -So when was this done? -Oh, I should think that must have been done pre-war, I should imagine. -This is as it was then, is it? That was the south terrace. When they had a garden party for 1,500 people, the band of the lifeguards used to play along there. Tea was served all round, and it took us a week to wash up. -The gardener would go mad today - these people on his grass! Can I see what you've brought? -Let's have a look. Now, what's the story behind that? I only know that it came here from the Far East in the First World War. Far East. Someone travelled to China? -that tell me that it's French. So someone may have been travelling out there and bought it out there. But it's definitely a French piece. And I would date that to, what, around about, say, 1900. And this is a wonderfully large and strong-looking lump of turquoise. I mean, look at the depth of it. Mounted in gold in this rather pretty scallop-type setting. -These are all real pearls. and then the chain is blue enamel - it's not actually turquoise. -So it's a really rather well-made piece. -Very desirable. Turquoise is such a pretty, feminine-looking stone. I would suggest, in auction, we're looking at £800 to £1,000 today. -Thanks for bringing it. An excellent piece. That's a face you wouldn't want to meet on a dark night! And his lady companion over here doesn't really fare much better! You sure...? Oh, yes, she IS a lady. One's always tempted to pick one up and look for marks. and I'm sorry to say there isn't one. these shout, "I was made by the Martin Brothers." They're from a series of figures known as imp musicians. And I suppose the other term that's often given to them is grotesques. but in the last 20 years or so, the Americans have become very interested in the work of the Martin Brothers. -about £1,500 for the pair. If you came on the bus, can I recommend you go home in a taxi? -and I've had it for about 40 years. very good quality marine painting. It's a beautiful handling of paint. -It's painted on panel, in oil. in the impasto here - in the thicker paint. makes me feel it's by a good artist. And from a stylistic point of view, it's definitely a Dutch painter of the 19th century. Down here there is a signature. I think it's an artist called Schotel. -He was working in the second half of the 19th century and his work is quite sought-after. -it would make somewhere between £1,500 and £2,500. -So you perhaps should be insuring it for £3,000. -at a village called Much Hadham in Hertfordshire. -who were pulled in it when they were small. -I've traced it to an exhibition that was in one of the auction houses in London. -The description said it was made for the grandfather of the present owner, who'd be your mother's cousin. -Made in 1851 by the wheelwright of Much Hadham. -So we must have the right one. -Beautifully made and obviously a professional maker, not home-made. A wheelwright's the head of his profession. They'd like that, the children. -because although they're wood underneath, there's a steel rim on the outside. -Even the steering wheel, which feels a bit...slack. It is a little bit loose, this nail. But it's lasted a long time, and should go on lasting. -Nothing I need to have done? Children must have had great fun. They'd have put a little cushion in. -and these elbow rests, which I love. -I thought it was just decoration. -No, no. I can just imagine them saying "Faster, faster!" -What are these metal things? -A canopy with four uprights - to protect them from the sun. -Um, you have never had it valued for insurance or...? It is a wonderful early tumbrel, as they call it, a cart. I should insure it for at least £2,000. To get one rare Delft plate is quite something. To get a pair...! I'm gobsmacked. Where have they come from? Well, they came from my grandfather. I don't know any further history. What we have here are Delft plates made to commemorate the battle in 1746 of Culloden. We have "Duke William for Ever" and the date 1746.
but for the Scottish, quite a terrible event, wasn't it? Not many were made to commemorate that event. porcelain from China was replacing it. so you can do an instant commemorative of an event. So the Duke of Cumberland could then be commemorated on plates that would go on sale straight away. on the whole this is one of the earliest you get of military commemoratives made of Delft. The material is covered with a thick glaze and chips really quite easily - I see you've got a few chips. I guess they've been there a long time, but really extremely few. This one - no actual cracks... They look astonishing, condition-wise. The painting very well done. It's not easy to paint pictures on Delft because you're painting on to basically unfired glaze, wet glaze. It's like painting on blotting paper. You can't rub out and start again - you have to quickly paint the design. And that gives them a spontaneity which is really rather charming. and to find an unrecorded pair of plates is really something. They're worth quite a bit of money. -That's ONE! Here you've got twice as much. £20,000 for... two extraordinary plates. and for a look at he buildings and the man behind this whole astonishing enterprise. Until then, from Royal Holloway, goodbye. Michael Aspel and the team visit Royal Holloway College in Surrey, where their discoveries include a collection of West Indian paintings worth as much as £25,000, a selection of costume designs rescued from the dustbin worth £5,000, a very short walking stick which belonged to Enrico Caruso and a pair of Delft plates which delight John Sandon.